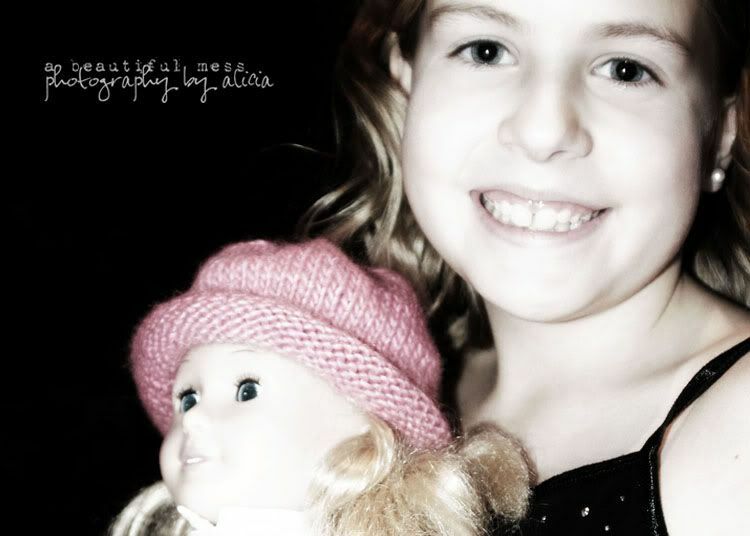 Project Alicia : A force to be reckoned with. I'm talking about none other than my sweet little Pokey, of course. Rightly named because she is the slowest human on planet earth. You can read more about that here. And don't let this sweet, little face fool you. After 2 weeks of being with her 24/7, it was hard to miss the paper trail that followed her. that I realized the extent of her paper fetish. Need I remind you this was a NON-school day? With crusty, slitted eyes I peered in her direction. I even managed a half smile. It was hard to make out, but appeared to be my 12x12 scrapbook sheets. It took a few moments for my eyes to adjust. And that snowflake was the biggest, most perfectly sculpted thing I'd ever laid my tired eyes on. By the time I made my way out of bed she had made several more of these giganto creations. Oh, and it didn't stop there. Oh no. Before lunch her room was entirely decked out. They were swinging from her fan no less. Yes, we made a gross error in judgment. Paper princess may have been a more fitting name choice. When she sets her mind to something there is no stopping her. She is a force to be reckoned with. On Christmas Eve we spent the evening with our friends, the Garbetts. Knowing that Vicki would be there to help her, she brought her knitting project so she could finish it for her doll before Christmas. And by golly, she did just that. While we gabbed and played games those little fingers of hers were busy at work. Pokey has struggled with nail biting most of her life. Before that it was finger sucking. She seems to have a bit of an oral fixation or nervous twitch of sorts. Poor girl has tried so hard and just can't seem to kick the habit. For Christmas I was so excited that she wanted me to paint her nails. Calling it rare would be an understatement for my wannabe tomboy daughter. She actually left it on and by Christmas she even had little white tips. Then she opened a nail art kit from Aunt Tonya. What an inspired gift. It was just the thing she needed to give her that little nudge. The entire break she was so busy focusing on what to paint her nails next that she completely forgot to bite them. Success. We always try to dress up for special dinners. For Christmas Eve, Pokey insisted on the red skirt that twirled. And who am I to stomp on a little girl's dream? So... she wore that red skirt. And when it started snowing outside she grabbed her boots and hat and headed out to do just that. It was a magical moment captured. She may be a nail biting, paper schredding, strong willed little girl at times, but she is MY force to be reckoned with. And I couldn't be more happy about the person she is becoming. A beautiful, happy, kind-hearted, thoughtful, creative, determined young woman. And I would be lying if I didn't say I was just a little proud. 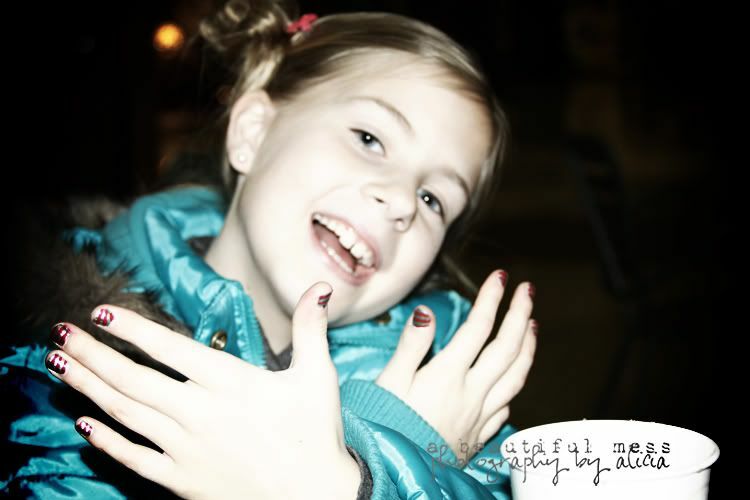 I really enjoy your blog...I have really enjoyed this post! 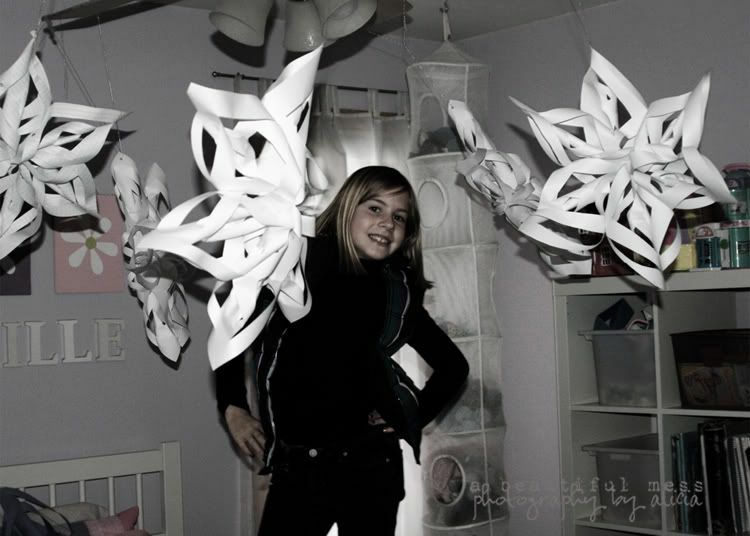 the paper snow flake creation is so fun! How on earth did she do that?! Have a great day! Wait, she MADE those? That's astonishing. Did she just make it up in her head or had someone taught her recently? She is definitely creative. We know where she gets it. Love the montage at the end. She's beautiful. Wow! I am loving those Paper Stars! Go Pokey! Awww, what a beautiful post! I LOVE those giant size paper snowflakes, and having made a few myself this Christmas I know it's no mean feat to create them! And the photos of her dancing in the snow...well just magical! She is FABULOUS. Must take after her momma ;) Teared up reading this Lish, beatiful images you've captures and such wonderful observations of who your daughter really is. She is immensely talented those snowflakes are CRAZY!!! Love this post...love it. 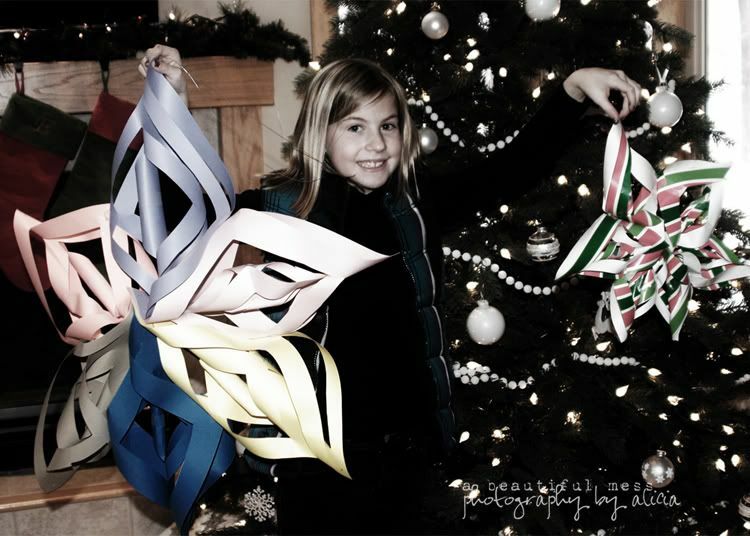 Those paper snowflakes are pretty amazing! She has such talent making art like that. You have a beautiful daughter! Where's the tutorial for the paper snowflakes? Haha, maybe next year? A mom who brags who ia loving mom in my book! Those snowflakes are amazing. Cute photos. a paper princess!?! Shes my kinda girl! Send her my way :) I have been playing in paper all day! I love these snowflakes. I found the tutorial just last week and put them on my tumblr for a rainy day. I can't believe how big she was able to make them... wow! So many beautiful shots with a wonderful tribute to tie them all together. Don't you love watching them grow up? My daughter and Pokey could be fast friends despite their age difference. They're both slow, both forces to be reckoned with and both apparently love paper, too. My house is covered in paper bits from her projects she's always up to! I would like to say Thank You for this post! I have been reading your blog for only a few weeks and I am already a huge fan but this post sealed the deal. I can't remember exactly how I found you I usually click, click, click through the internet and never know how I wind up at my final destination but sure glad I found you. This post compelled me to leave you my first comment, it's because I have a male version of your beautiful Pokey. His name is Grant and growing up we called him Granny cause he too was the slowest child on earth, yet very creative fun loving child who always stepped to the beat of a different drummer. He is now my man-child, all gown up the ripe old age of 25 and he became *drum roll please* an Aerospace Engineer. LOL Cracks me up that I actually gave birth to a "Rocket Scientist" Keep doing what you are doing and always enjoy your Pokey and her special ways - she will continue to make you proud and will always warm your day...even at 7am. Thank you again for the smiles and the great blog! Breathless. You not only know how to use a photograph, but your color contrast is impeccable. It is truly candy for my eyes. She sounds like an amazing girl! My 8 year old daughter and she would be great friends. Our entire house has been with paper snowflakes. My #2 is our force and your girl's independent personality reminded me of I'm. Can you believe he came up with his very own organization this weekend, for raising money to send to kids in Africa?! I'm amazed daily how at only 5 he can have more compassion in his little finger than most adults have in their entire bodies. And, I love her skirt! As a former fairly skirt addict I know exactly where she a coming from. And, you know I can't leave one of your posts without commenting on your photography and post processing. Gorgeous as always. I keep staring at those trying to figure out how she did it and I can't. Clearly, she's a genius. Those snow flakes are awesome! She is a talented little girl. Whoa! Check out those snowflakes - how does she make them? And the knitting? She's amazing! What a really amazing girl you have - and beautiful, too. And by the way, my girls are in love with Pokey's snowflakes.